Office Hours 9 AM - 10 PM. Check in: After 3 PM before 8 PM. Cape May's got a new hotel! Introducing the ''new'' Periwinkle Inn Hotel. This new sparkling cosmopolitan type hotel is sure to please. 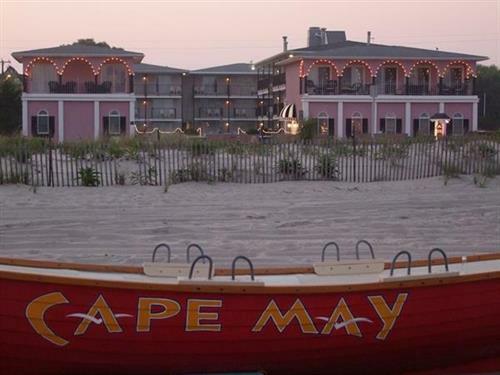 Located at the southern most tip of New Jersey in our nations oldest seashore resort, gorgeous Cape May, NJ. This boutique hotel epitomizes chic design while offering guests an unmatched level of service. True to our name, we do everything over the top with an authenticity that attracts travelers from all around the globe. With sweeping views of the Atlantic Ocean the Periwinkle Inn Hotel has a distinctive waterfront location. This boutique type hotel puts you at the beginning of Cape May's promenade with easy access to all the restaurants and all that Cape May's got to offer. With a large 5 star pool surrounded by lush gardens we provide an ideal location for your Cape May vacation.